Running Press Adult, 9780762455881, 128pp. In 2012, Lucy Scott gave birth to her first baby. Despite her extensive pre-baby research, nothing prepared her for the momentous task of caring for this new little person. Featuring dozens of funny moments like baby's first lunch out to a forensic view of the living room, this charming doodle collection includes 120 two-color illustrations and is the perfect gift for Mother's Day, baby showers, or year-round fun. 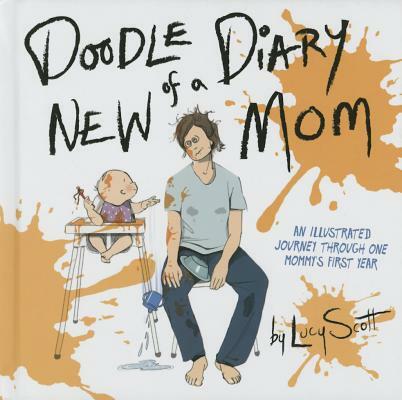 Also included are a few doodling prompts in the back of the book so moms can doodle their own first-year memories. Lucy Scott is the co-founder of a pre-production visualizing studio called Treehouse 24 and has had her artwork exhibited in London, New York, Edinburgh, and Tbilisi. Lucy lives in Edinburgh, Scotland.